Make it so that you don't have to donate to see your pokemons IVs, it puts regular players at a HUGE disadvantage in pvp. The /ivs command is a perk that only really saves time. You can still find out your pokemon's IV's by using a IV Calculator online. 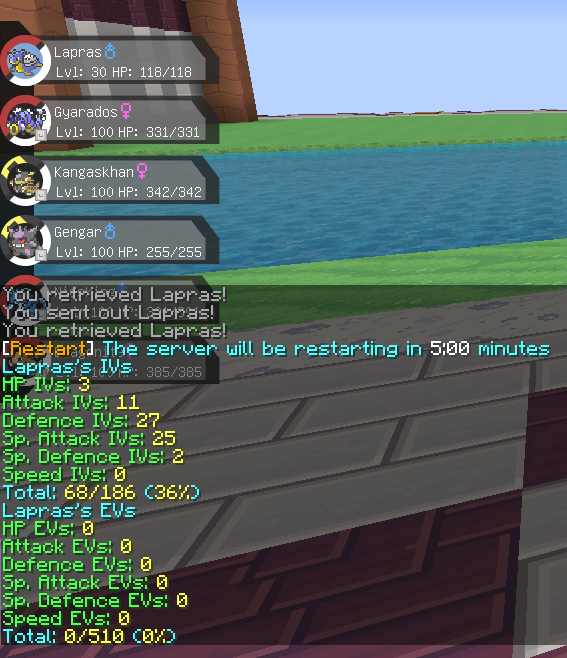 I'm not a donator on Kanto and that's how I've been doing it since first joining the server. 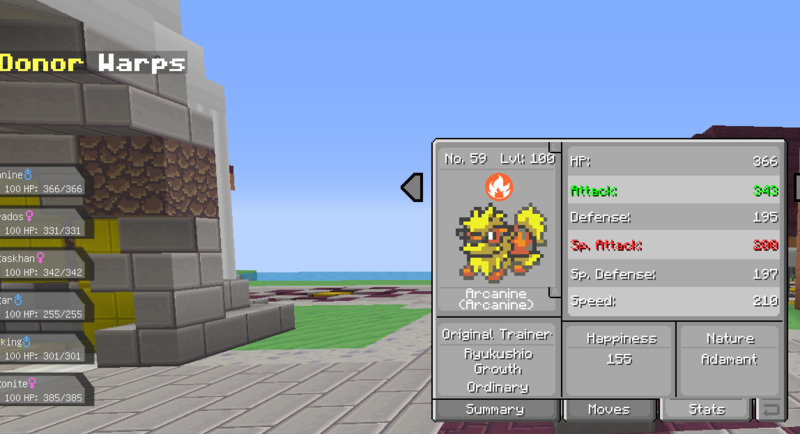 - The higher level a Pokemon is, the more accurate the calculation. 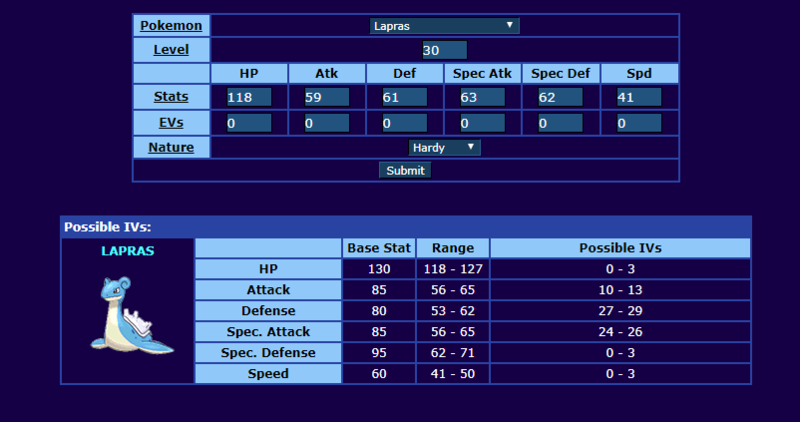 This is because of the way IVs are calculated into a Pokemon's stats. It's not a simple 1 to 1 conversion. At level 50, 2 IVs = 1 stat point, at level100 1 IV = 1 Stat point. 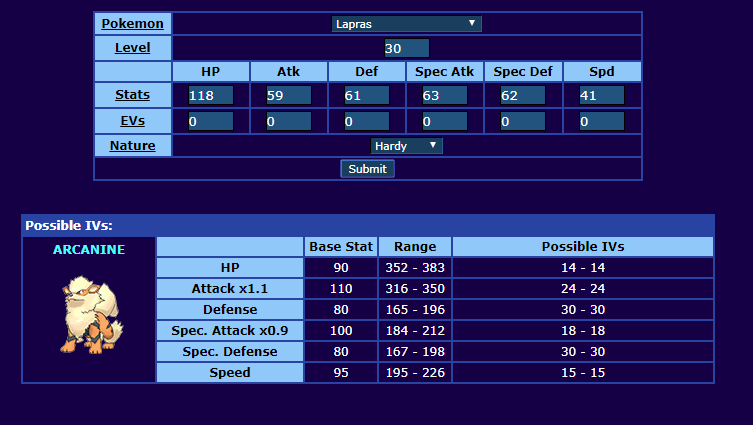 That's why the Arcanine's calculation was completely accurate, which Lapras's was a close estimation. This may all seem like a drag, but "p2w" for me at least, means that you donate for something that you wouldn't be physically able to do anyway else, and as I've shown, IVs doesn't fall under that.